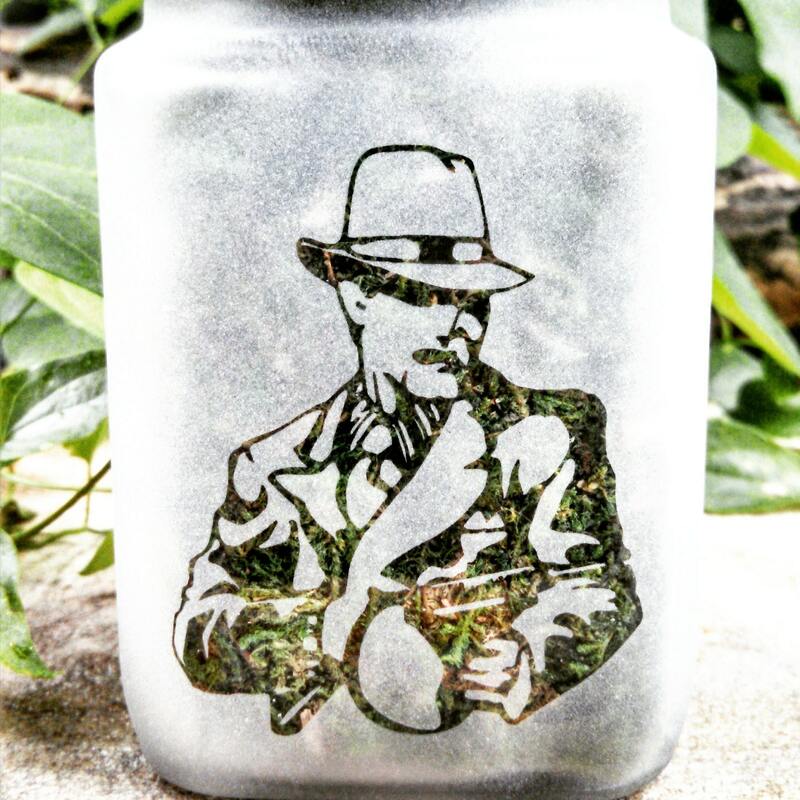 Mob Boss stash jar inspired by our favorite cannabis strains. Weed Christmas Gift Ideas for your favorite stoner. 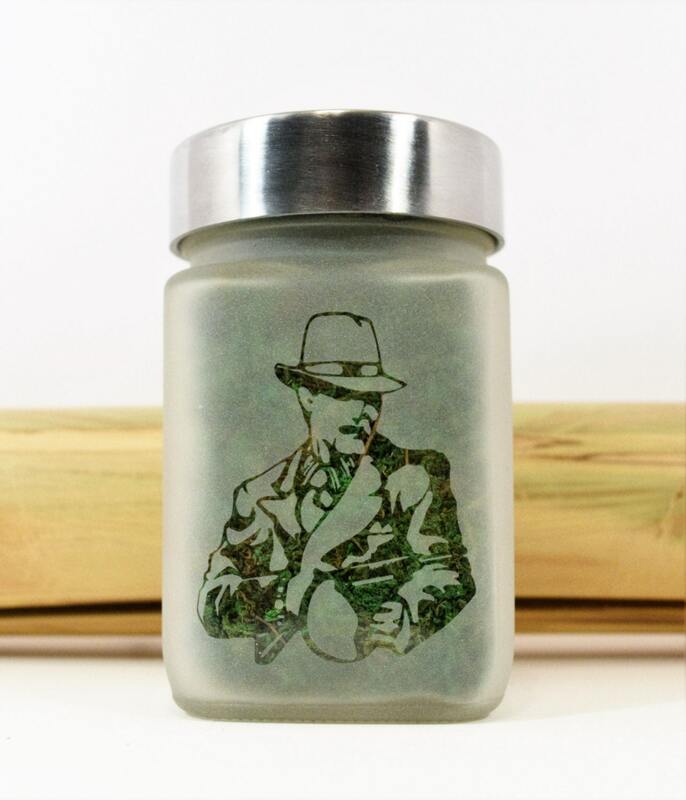 Keep your Mob Boss dank and stashed in style. 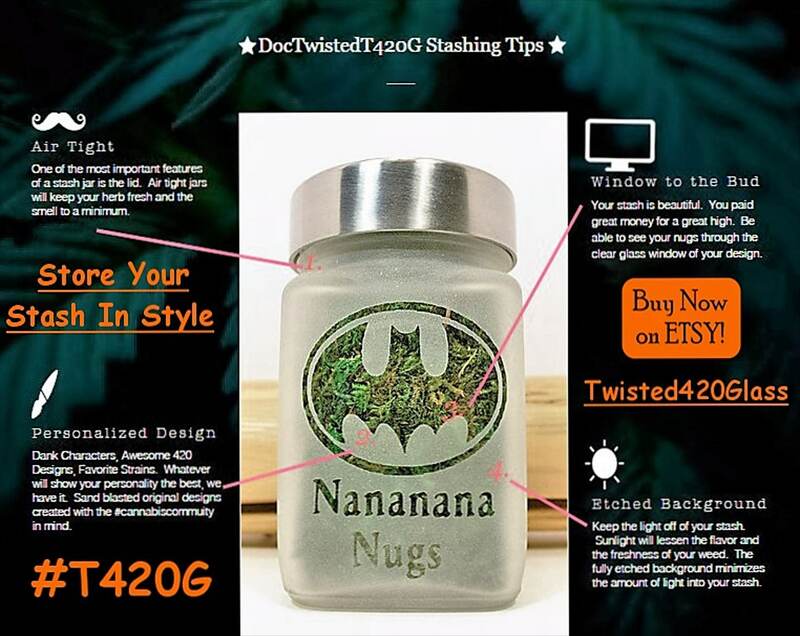 Food grade, airtight weed jar with brushed aluminum twist tight lid for a smell resistant experience. 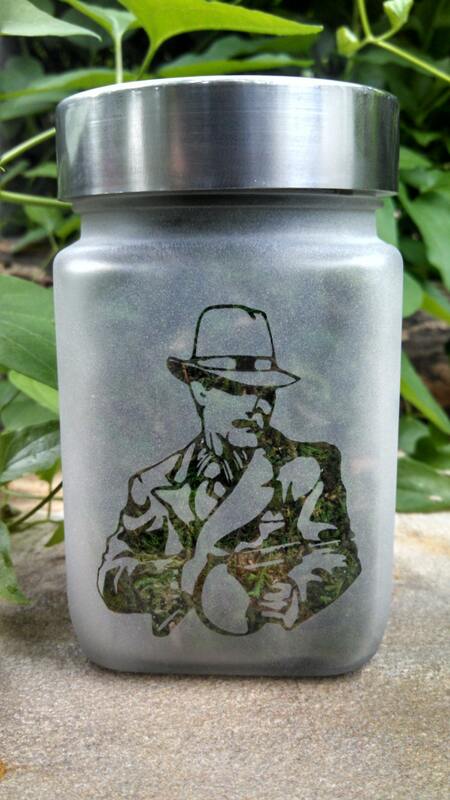 Mob Boss weed accessories stash jar size roughly 2.5"W x 3.5"T.
Perfect stoner Christmas gift this holiday season. Note: The Mob Boss gangsta image in the photo has a green back drop. 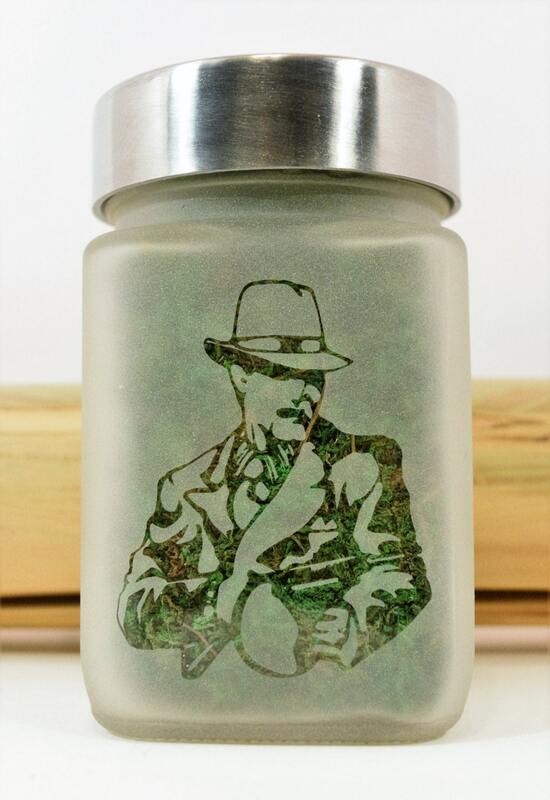 When it arrives to you the Mob Boss design will be clear glass.